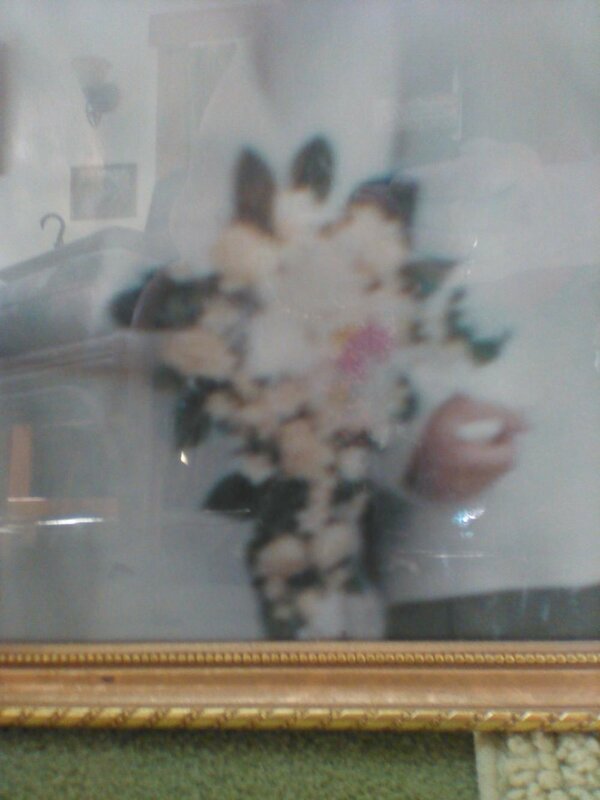 Buy Silk Wedding Flowers Online at the Love Is Blooming Etsy Shop Now Open! 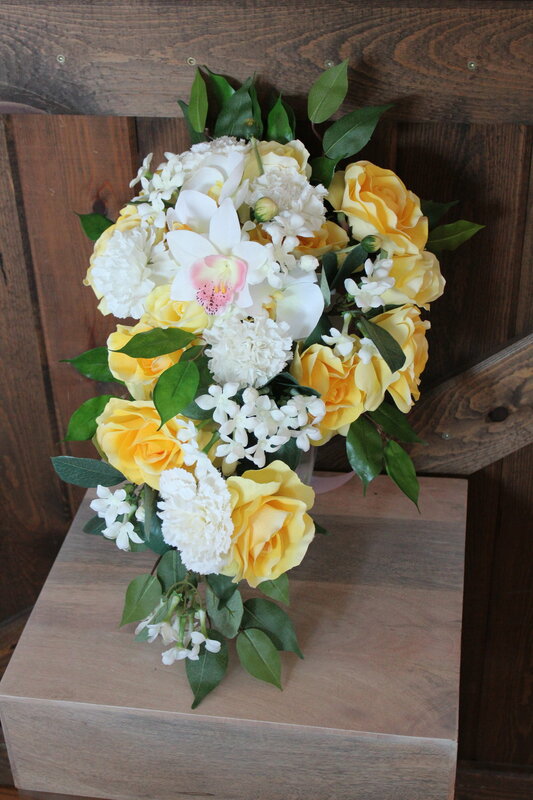 Ombre Silk Bridal Bouquet in yellow and orange Roses, orange orchids and Tulips, and red Hydrangea. I'm pretty excited to be offering a completely new service for brides near and far, my very own Etsy shop! 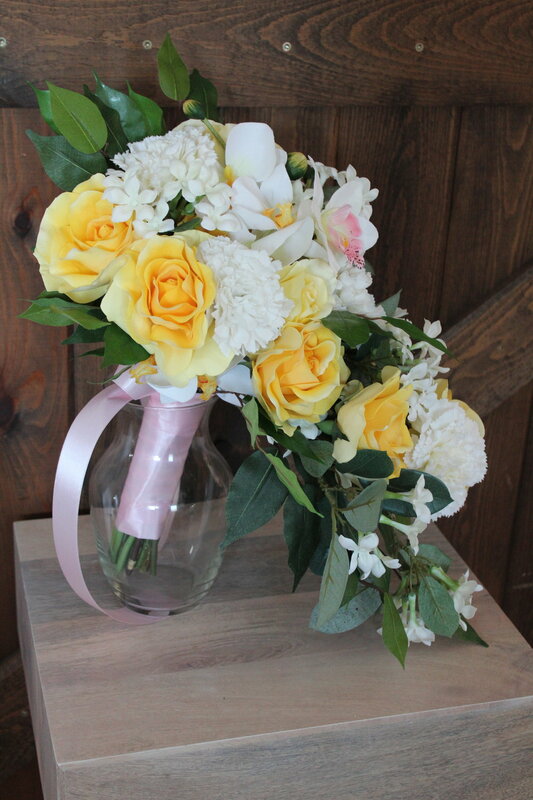 This is a great option for brides (or anyone) who is looking for that one-of-a-kind silk wedding flowers bouquet or accent for an upcoming event. There are various sizes, styles, and designs available in the shop ready to ship. 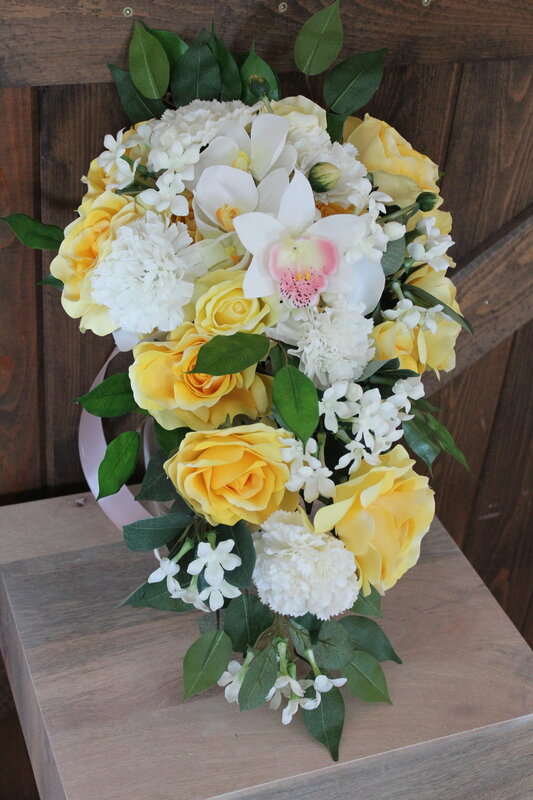 Whether it's for a destination wedding, vow renewal, or a smaller intimate ceremony, these high end silk bridal bouquets and matching groom's boutonnieres are unique, high quality, and beautiful! I'll be doing some features on what I've got in the shop over the next few weeks. Looking for something a little different, fill out the bride's checklist with your specifics and get a quote for your event. Also, if you are interested in matching items for your designer bridal bouquet and groom's boutonniere, contact me to find out what's available.